Why the need for a blog? This blog was started after the 2016-2017 season after talking to a few friends. 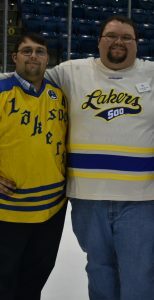 We had been noticing that there was less and less coverage of Laker hockey within both the local media, and also online college hockey blogs. We also noticed that there were a number of team specific blogs for a pretty large number of teams. So we decided to take matters into our own hands and cover this team we all love.